Before determining your address and phone, you should decide your business name. Once you know your name and how you plan to set up your business structure (i.e. sole proprietor or LLC), you’ll need to decide on your address and phone. You’ll use this contact information on your business license and other official business documents. You’ll also put it on your business cards, contracts, and other marketing tools. Today it’s not considered unprofessional to use your home address; however, you may want to protect your privacy. Your address will be used in many documents, and online, and you may not want that to be public knowledge. For example, the CAN-SPAM law requires that your address be in all your emails. There are two options if you’d like a different address. One is to open a post office box with the US Postal Service.The second is to get a box at a local mail store, such as and UPS store. PO boxes are considerably less expensive than private mail boxes. However, your decision may in part depend on the image you’re trying to project for your business. Some prospects may view your use of a PO box address for your business as meaning it’s small or not fully established, or that you operate a “fly by night” company from your garage.The mail store option can give the appearance of a business with a physical address, that might make some consumers more at ease working with you over seeing a P.O. Box. With a mail service, your address is the mail services address plus you box number. For example: 123 Elm Street, #123. This looks more like a location than P.O. Box 123. Even 100 percent online businesses need a phone. 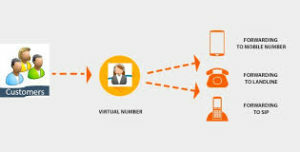 While your clients or customers may not call you, you’ll need it for other reasons, such as for the services you use (i.e. web hosting). Many home business owners start off using their current phone, but there are several advantages to setting up a business line. 1 You can keep business and personal separate. When your phone rings, you don’t want to worry that your child is answering a client call. When a business line rings, you know it’s business, and when your personal phone rings, you know its personal. 2 Phone related tax deductions are easier to track. The IRS doesn’t like comingling of your personal and business accounts. If you use your personal phone, you can only deduct the direct business expenses. Before cell phones, having a business phone was fairly limited. You could either add a second number (distinctive ring service) to your existing phone, or have a second line added to your home. The latter option is more expensive, but it is also entirely deductible on your taxes. Using your existing line, you can only deduct business-related services (i.e. distinctive ring). Today, having a cell phone is easy and allows you to be accessible when you’re not in the office (which can be a good or bad thing depending on how much you work). Like your landline, you can get a business number to your existing phone service, or use an online service to create a business line that forwards to your cell phone.